Achilles tendinitis is a common condition that occurs when the large tendon that runs down the back of your lower leg becomes irritated and inflamed. The Achilles tendon is the largest tendon in the body. It connects your calf muscles to your heel bone and is used when you walk, run, climb stairs, jump, and stand on your tip toes. Although the Achilles tendon can withstand great stresses from running and jumping, it is also prone to tendinitis, a condition associated with overuse and degeneration. 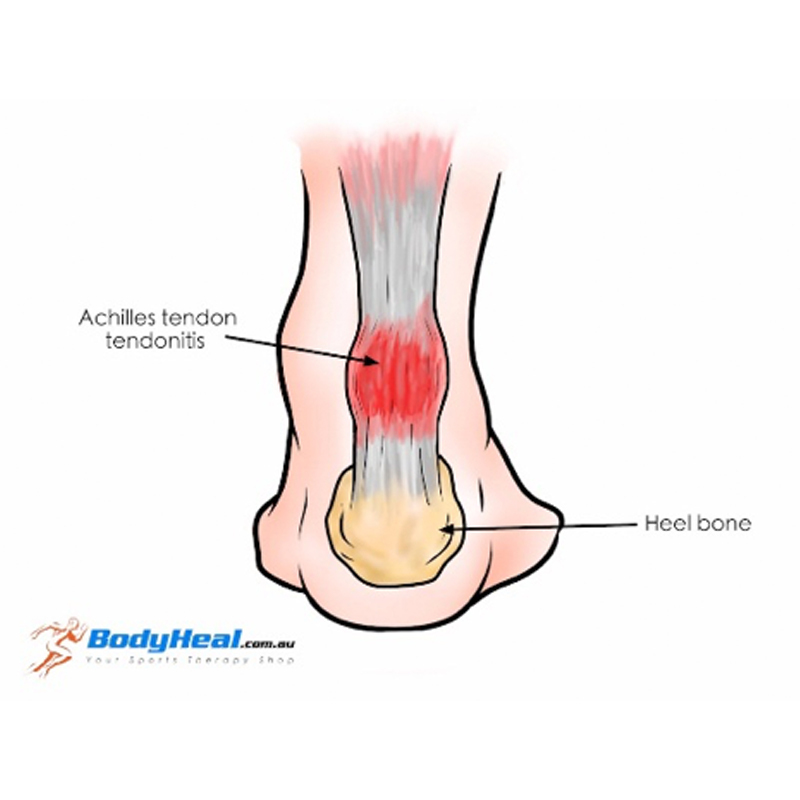 Achilles tendinitis is typically not related to a specific injury. The problem results from repetitive stress to the tendon. This often happens when we push our bodies to do too much, too soon, but other factors can make it more likely to develop tendinitis, including: sudden increase in the amount or intensity of exercise activity, having tight calf muscles and suddenly starting an aggressive exercise, or bone spurs—extra bone growth where the Achilles tendon attaches to the heel bone can rub against the tendon and cause pain. Treatment options include rest, ice, NSAIDs, exercise, physical therapy, cortisone injections, supportive shoes and orthotics, and possibly surgery.